Scroll below to the summary if you prefer to begin with the end. NOTHING in your life will change, ever, without replacing old habits with new ones. Inertia (doing nothing) is the first, powerful psychological hurdle you must overcome by repeating simple actions and rewarding yourself. While ridiculously obvious (I prefer simple yet elegant :), this compounding cause and effect should bolster your long view for any aspirations and the power of simple repetition. Simply start small, keep at it and see where you end up. But first, do not confuse goals with habits. The former is a starting point but goals also have a finish line, which is the primary problem. Remember those New Year’s resolutions? Habits are what you want, action that ingrains long term into automatic behavior. Habits rewire our brain and power our life. So just start. By reading this, you have taken first action! While you might’ve skipped to the summary, unfortunately benefit, reaction and reward don’t precede action. You cannot begin with the end result, but wouldn’t that be nice!? Instead, a first step outside the door, begins a stroll to the end of the block, which leads to walking a quarter-mile before jogging an entire mile, and then one day you’re putting in a couple miles and participating in a 5k, or maybe even a full marathon. Incrementally. Slowly. But also easily, you don’t begin with sprints or dive into the deep end. We are what we repeatedly do. Behavioral research shows nearly half of what we do daily is a habit or some form of unconscious, automatic behavior—rote routines and cognitive biases we simply do without thinking. Conversely, lunacy is repeating the same actions and expecting different results. So whatever you’re attempting to accomplish, you must first stop doing and/or replace the thing(s) getting in the way, which often involves some excuse of time scarcity (If only I had the time, I would…). So begin small, subtraction by addition, by performing something necessary to first meet your goal, and repeat often enough to develop gradually into automatic behavior, a habit. Stanford psychologist BJ Fogg recommends “tiny habits”, as basic as flossing one tooth, before increasing your time and effort. Brushing your teeth is the trigger to floss one tooth. Likewise, rely on an existing behavior to prompt your new “tiny” action, then do more once you get into a routine. Think of catalyst habits as “lead habits”, cornerstone rituals or routines which trigger other positive outcomes because that lynchpin habit creates a ripple effect that benefits other areas of your life. I’ll focus on three interrelated that most people either struggle with and/or are deficient: exercise, diet (eating), sleep. Regardless of your ultimate ambition, learning to play guitar for example, a seemingly unrelated catalyst habit can help you toward that goal by giving you the time, energy and motivation to pursue that thing. The catalyst habit serves as a lever, hub or lynchpin. Because those deficient in regular exercise, balanced eating and proper sleep are also likely stressed, fatigued, anxious or maybe even physically ill, and each of those negative consequences impacts our ability to prioritize, plan and enjoy other activities and people. In other words, get right with exercise, eating or sleep and you will feel better and think more clearly enough to reorder or introduce into your life whatever you’d like to do by following the same process you did for ingraining the catalyst habit. How can I possibly achieve all that!? Not all at once, but think about it, you’re likely doing the reverse with negative outcomes on the debit side of your life ledger. How often does negative thinking pan out? Focus first on ONE, begin with a baby step and the others eventually become manageable. If you’re tired from exercising, you’ll sleep soundly. If you’re sleeping properly, you’ll feel and perform better in other endeavors. Notice each leads to increased energy and acuity. Pick the one you need to correct first, that you feel would boost making the others attainable and you “happier”, however you define. You’ll be using ONE catalyst habit to achieve other goals, like playing that guitar. You likely don’t get enough. The latest research says 8.5 hours including 30 minutes to wind down since most people don’t fall asleep the moment head hits pillow. No blue screens or electronics 30 minutes before bed. Try to make your environment dark and cool. Plan 8.5 hours of sleep by blocking off that time first, then schedule around. Diets fail. We eat to live and enjoy life. Everything in moderation is a solid plan, but first recognize what you’re consuming, particularly sugar. The breakfast aisle at the store should be renamed Dessert. If you had the choice of eating for breakfast something loaded with sugar, or saving for later your daily allotment of sugar grams for a bowl of ice cream, which would you choose? Be aware of what you’re putting into your pie hole. Most fail at portion control. Want to give your belly enough time to send a message to your brain that it’s full? Release fully (put down and let go) your eating utensil between each mouthful. This is extremely difficult but works and it’s not a diet. Try it, I challenge you! Initiate this small step by starting with only a few bites, then try one meal, and feel the difference. Some form of motion daily, have fun, don’t torture yourself. Treadmills are annually the top selling exercise equipment, but they were introduced as punishment devices in U.K and U.S. prisons in the late eighteen hundreds. Move enough daily to elevate your heart rate and sweat. Do something you enjoy. Play games. Park farther away to increase the distance you must walk to the building. Take the stairs. Focus first on a small First Action/Effort. Each of the sections you just read includes numerous mini-actions you can try to start. Pick one small effort from above to combat inertia. Do something, anything. Take a baby step. Action of any type is a victory. Start small for a certain triumph. Reading this post top-to-bottom, sharing and saving counts. Also begin each day with a small win, which could be as packing your gym bag or placing your walking shoes next to the door. For anxiety sufferers, getting out of bed and immediately making (so you can’t call back in) is a W. The military orders service personnel to make their beds first thing for a reason (i.e. psychological sense of accomplishment, gets you started right with some momentum). Humans seek pleasure and avoid pain. No habit sticks long term if you don’t reward yourself and celebrate along the way. Celebrate immediately, do a little dance, pump your fist and/or say to yourself, “I did it!, “Good job” or “I’m great.” Even these seemingly silly affirmations work. Regardless of whether you believe or must force, say to yourself, “I’m alive and well. I feel great!” after accomplishing any small victory and psychologically you are boosting yourself. Science says to do this repeatedly and also change it up. Define your rewards and vary the timing, which for those attempting to eat better, could be a slice of chocolate cake or piece of fried chicken. Don’t feel you’re defeating or cheating by rewarding yourself, just don’t overdo it. You gotta BELIEVE, no seriously, or it won’t work. Sometimes I write BE-lieve as a memory aid because the first step to becoming, or being, is believing. Anyone who has completed a 12-step program accepts and research supports. “Fake it until you make it” and self-fulfilling prophecies are scientifically validated. Visualize success. Unfortunately negative thinking also produces and our brains are hardwired to threats, but you’ve likely already proven that to yourself so fight it! Vilfredo Pareto’s Law of the Vital Few, and more commonly stated as the 80/20 Rule, shows roughly 20 percent of inputs produce 80 percent of outputs (e.g. 20 percent of your effort, produces 80 percent of your results, 80 percent of profit comes from 20 percent of customers). The round numbers are merely conventions and in real life don’t necessarily add up to 100 and may actually total over 100. Pareto never expressed this way, but 80/20 serves as shorthand for scientifically valid outcomes of imbalance in every facet of life, and even exponentially to the higher power if you further subdivide each into subsets of 80/20 (i.e. break down each 20 percent into another 80/20 split). Simply, one-fifth of what you do affects four-fifths your life (cause/effect). So identify and focus on the 20 percent of action/behavior, like one catalyst habit, that will produce 80 percent of what you are attempting to achieve/realize, then seek to either improve or ideally eliminate the rest (e.g. time and money wasters). Inertia: The mental excuses we make for staying put. A real thing technically known as Status Quo Bias, in which the current state serves as a baseline and any change from it affects decision-making and feels like a loss. Lunacy: Doing the same things expecting a new or different result. Habits: Nearly half of what we do is automatic behavior, unthinking routine. Habits take an average 6 months to change with repeated action and diligence. Start small, even tiny. Catalyst Habits: Lead habits that cause people to change related areas of their lives. Proper sleep improves your energy and sharpness for other activities like exercise. Building and maintaining a single habit, or conversely quitting/replacing a bad habit, transforms. Rewards: Habits are last-in/first-out (LIFO), which is why resolutions don’t last. Reward yourself as you progress to support and ingrain a new habit. Believe: You’ll quit or revert if you don’t. Visualize exactly what you want as if it exists. Partner with someone or join a group, which research finds dramatically improves odds of success. Putting your intentions in writing is also shown to significantly motivate action over those who do not. 80/20: I prefer to state 20/80 to aid memory. Twenty percent of inputs produces 80 percent of outputs. The Law of the Vital Few and Trivial Many is a powerful analysis, planning, action and weeding tool. “Managing time” is an absurd impossibility. Identify, focus, perform and manage critical priorities and weed anyone and anything not contributing to your personally defined, bottom line. And your bottom line should include unstructured, spontaneous time to goof off and relax, so this isn’t a robotic existence. Identify, focus and begin with ONE catalyst habit you intend to ingrain long term and add other habits and goals as you practice and master. Dream of success, imagine as if your vision already exists. Fight off negativity. Start with one small action or effort to break inertia, then repeat on schedule to build momentum for adding more. Doing anything is better than nothing. Reward yourself along the way whenever/however you define. Change it up. Isolate the 20 percent of your effort producing 80 percent of the benefits, improve or eliminate anything you deem trivial or ineffective but include fun time. If you take baby steps and reward yourself DAILY, before long (likely within a year), you will achieve your aim and recognize in the mirror a NEW YOU. You are free to accept or decline my request, but please share this with others (below) and try for free Orientation. 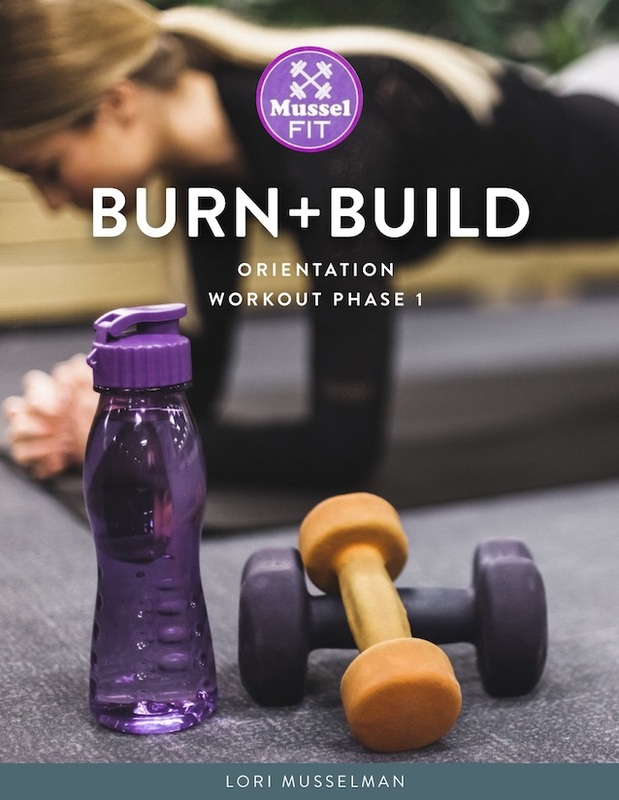 Please do forward the PDF as well and learn more at MusselFIT.com.